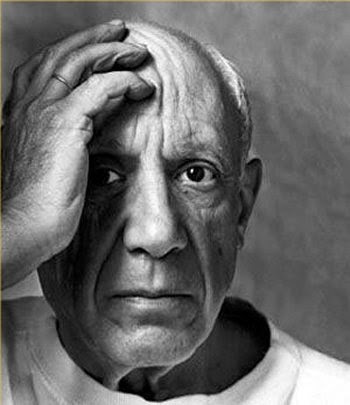 Art Blogazine: E-News Magazine update: Are Designers and Artists conditioned to be Inspired or Imitate? Are Designers and Artists conditioned to be Inspired or Imitate? With the world becoming global village it is very natural that concepts and ideas get copied, plagiarized. But the basic question is, “What is it that appeals to senses and why are designers and artists inspired to copy or follow the original creation?” Consider the cases of Ray-Ban sun glasses, ambassador car or two-wheeler bullet. These brands are original and stand out among others in their category. Many designers have tried to follow the same designing pattern of Ray-Ban. But only original brand is in demand and fetch highest price. Though there are en number of cars in market, Ambassador is still considered safe and enjoys VIP status. Simplicity and comfy style have made these things most sorted. Not only in commercial designing but even in art we have forms that are closely associated with artist. Using ‘bindu’ is associated with Raza, that it has become identity, Hussain’s play with ‘horse’ and controversial paintings, Picasso’s geometrical figures, Mark Rothko’s style of ‘multi-form’ though simple rectangles placed on top of one another, floating horizontally against a ground and et al. Artists all over the world get inspiration from them and try to paint ‘like them’ but ultimately land up painting ‘them’ i.e. imitating them. Why does this happen? All creations evoke and express emotions. Emotions are the same everywhere. Still, the way emotions are presented do vary according to style of a painter. What makes style unique? Why is it difficult to be inspired by these artist and develop own style but totally different from original? The only answer is - Simplicity of expression makes these creations unique. Simplest concepts and things are hard to be divided in fragments. It is complete and whole in itself. New artist and designers should understand the basic nature of design or painting. But copying seems to be trendy. There are many reasons for it. Companies will do it out of ignorance or to be one of the best. 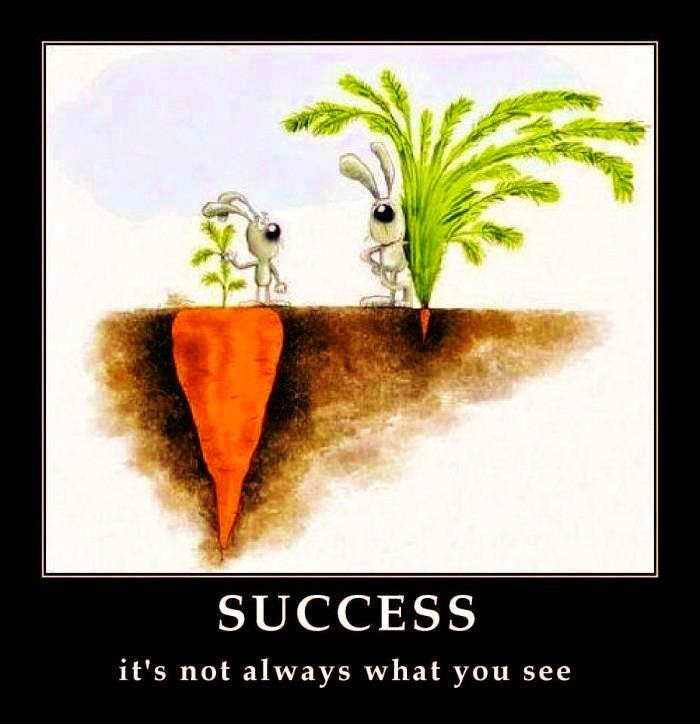 New artists may try it to confirm their presence and acceptance. Commercial gains are higher if the set patterns are followed. But one should note that ‘inspiration’ is different from ‘imitation’. So to establish yourself, try to be as simple as possible in expression even while expressing intricate. Let it be close to common understanding and inferences. Take for example, ‘The Eden Garden’ of Bible. 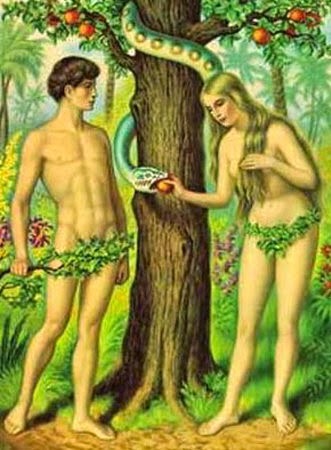 It’s a Universal and everybody knows Adam and Eve. Since ages visual is the same. Has anybody tried to change the style keeping the theme intact? It will be almost difficult. It needs a passionate probe into what makes this visual famous. Apart from inspirational-imitation I have observed that there is exchange of artistic creation among various media. Even if the concept is presented as it is by another artist still the visuals have same weightage and fame. Speaking about this artistic exchange I would like to bring to notice the painting- book-multimedia and vice a versa or intermingling of all. They very famous in Indian art is the use of visually stunning image of a woman carrying lamp in darkness and the effect of light on the illuminated part of the face. The clearly visible trance and tranquility is unforgettable. This remarkable creation is of The Glow of Hope Painting by S. L. Haldankar.in painting form. The same visual is used by film maker Guru Dutt in his classic black and white movie ‘Kaagaz ke Phool’ to bring out the emotions of a lonely women restless in love yet calm and serene. Both the painting and the motion media has same unforgettable image and yet devoid of ‘copy’ or ‘imitation’ tag. 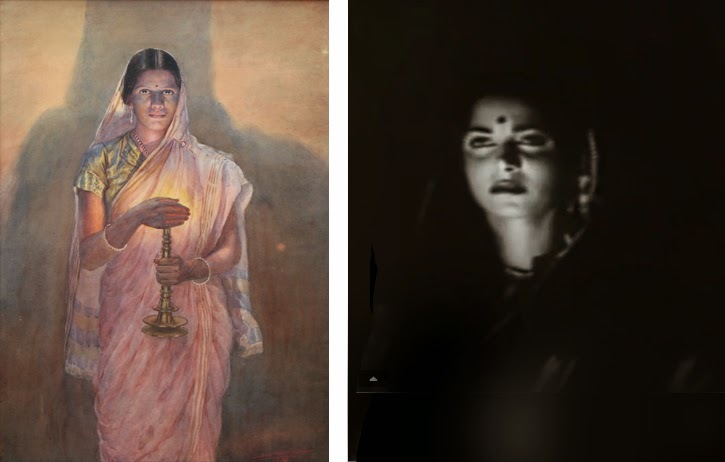 Also take the example of V. Shantaram’s Rajkamal studio logo in motion; it is clearly a modified concept of Raja Ravi Verma’s paintings having women beauty as his brand theme. And the best one is the RK studio logo. Raj Kapoor has a same visual presented in motion and static form. The logo actually is scene from the first successful movie under RK banner ‘Barsaat’ featuring Nargis, Raj and a violin.Next in the line is writing art into motion media- the books made into films; related to various genres of comedy, family drama, thriller, mystery etc, There are many Hollywood and Bollywood examples and the list is never ending. So, take the case of R. K. Narayan’s book ‘Guide’ and evergreen movie made by evergreen Dev Anand. Gulzar’s ‘Angoor’, based on Shakespeare’s drama ‘Comedy of Errors’ Chetan Bhagat’s ‘Three Idiots’ all these have become super hit stories in book form and in motion media. As mentioned earlier the appealing concepts are simple and closely related to us. So this simplicity have to be tended and modified to look as an individual passionate creation. Inspiration can be sought outside the field of our interest. Observation is necessary to jot the artistic implications. Here again I would mention Raza’s use of ‘Bindu’; its is a common accessory used by Indian women to increase the beauty of face or it would be more romantic and beautiful if I put it in Indian language- ‘Shringarik Alankar’. A simple, inexpensive ‘bindi’ has gained fame and commercial benefits simply because it was used in artistic creation and symbolic representation. Development of original style to give a new look that appeal the senses of people are very difficult and one who does it becomes genius.